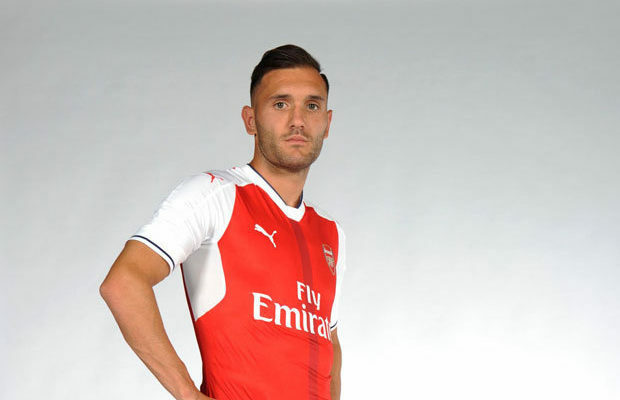 Arsenal are reportedly close to signing the transfer deal of Lucas Perez to West Ham United in a deal perceived as a big loss to the Gunners. Considering the fact that Lucaz was signed from Deportivo La Coruna for a deal worth £17 million two years ago, the reported amount Arsenal are likely to finalise the transfer is quite low. Lucas has been struggling to get featured in Arsenal’s first-team but could only come up with just 11 appearances in his first year at the club. His loan spell move to Deportivo was cut short after the club went into relegation. However, Lucas has returned to Emirates for the pre-season matches and in preparation of the new season but he is currently undergoing medical ahead of joining West Ham United before the summer transfer window closes on Thursday. Reports from Metro Sport stated that Lucas recent link with West Ham has materialised as the club are offering £5million for a 3-year deal. Meanwhile, if the deal gets finalised, Arsenal would be recording a loss of £12million against their initial investment, tagging Perez as one of the worst investments made by the Gunners over time. On the other hand, West Ham could benefit from the scenario depending on how the Striker gains back his form and bring a better play to the club.